In an article from the August 18 Business Insider, “These are the states that would be wrecked by Trump’s proposed tariff on cars,” Bob Bryan writes about how the president’s proposed 25% tariff on imports would devastate some states’ economies. Read the article here. Although these tariffs were on hold at the time of this writing, the tariff proposal is sending chills down dealers’ spines. According to Bryan, the tariffs will not only hurt import dealers, it will also hurt some U.S. factories that manufacture autos and parts for other countries. The Business Insider article shows a map of the states that would be most affected by Trump’s tariffs. Ironically, the states that will be most affected are generally the ones that Trump won in the 2016 election, mostly states in the Midwest and South. An analysis by the Peterson Institute for International Economics gives examples of how dramatically the proposed tariff would affect vehicle prices: A compact Nissan Sentra sedan would rise $3,075 (19%) to $19,300, and the average price of a compact crossover—currently the most popular type of vehicle in the U.S.—would rise by nearly $3,000. 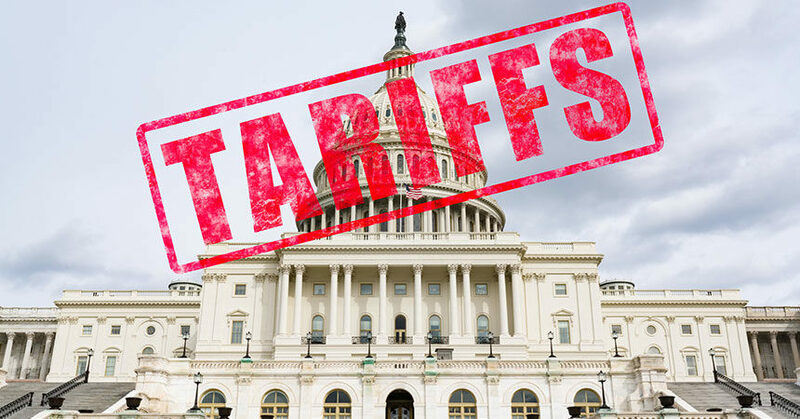 Besides the impact the proposed import tariffs would have on dealers and factories, a recent study by Autolist.com reveals that 41% of current auto shoppers would buy used over new if the tariffs are imposed, and an additional 9% would delay their purchase altogether. View the full Autolist.com study here. Additionally, Trump’s tariffs on steel and aluminum could prove a double hit to the auto business. As Ellie Batchiyska noted in a June 22 article on DealerMarketing.com, “What Are the Potential Impacts of Steel and Aluminum Tariffs on Dealers?” these tariffs on materials are expected to add an average of $300 per new vehicle sold in the U.S., per The Wall Street Journal. The expected effect of the price hikes caused by steel and aluminum tariffs is a reduction of new-vehicle sales of as much as 2 million units, reports LMC Automotive. Further, the Council on Foreign Relations estimates the tariffs could result in the loss of up to 40,000 automotive jobs and one-third of the workforce in the steel industry. In the Future, Will You Be Selling the Vehicles Buyers Want?